A good mechanic for Volkswagens? Larry's Foreign Auto is our preferred auto mechanic -- we've had very good experiences there. Unfortunately, Steve and the crew don't work on Volkswagens. And our VW needs some work. (The VW mechanic we had been using is no longer in business). I was hoping people would have some suggestions for good mechanics for Volkswagens. And as we've found out, VWs tend to have some quirks. So we'd like to find a place that has a lot of experience with them. While we're not totally against a dealer, but we'd very much prefer an independent mechanic. Thanks! Got a suggestion for a mechanic when das auto ist kaput? Please share! And as always for this sort of question, a quick sentence about why a place is good can be a big help. I am on my 3rd VW in in the last 15 years and I have always ended up back at the dealer. capital tech auto on jefferson off of lark. they don't work exclusively with VWs but i had one for a few years and derek always fixed her up at a fair price. he also saved a baby that was locked in a car one time. great business couldn't recommend them enough!! Marc's VW in Round Lake. 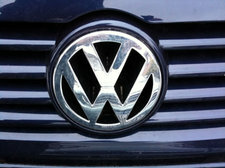 Brought my Jetta there for years until I sold it... they are great! John was the mechanic I dealt with the most and he was very fair and honest in my experience. Kaddo on 15th street in Troy. I've learned to stay away from the dealer once a car is out of warranty. They don't seem to have any incentive to do good work at that point. They charge far more for the same work than a private mechanic and are in the habit of recommending work that you don't need. Dub enthusiast here, going on 20 years now. While I've never gone to Hackel's myself, I've heard mixed opinions about him from other VW people. I'd recommend Autobahn Centre on Central. They have been our go to guys for the wife and I (also a Dub girl) for the past decade and always given us reasonable prices and honest opinions (as well as saved us from higher labor rates the dealerships charge). If they don't pick up right away (they're almost always busy) just leave a message and someone will call you back. Bavarian Rocket Science in downtown Albany is another option. They're a little more strict and mainly do Porsche work but I've brought my Audi twice there before without issue. Cleanest shop I've ever seen too. Broadway Auto Clinic in Menands is a new euro garage that I recently discovered and my experience was positive. I only needed a software scan so I wasn't there very long but from what I gathered from talking with the owner I could tell he had the passion and interest. If you need body work then Walter's in Schenectady is the only place to go. Had a VW TDI that Chuck took great care of for years past when I thought it could last. He used to work out of a garage but now he's mobile. He's a total VW geek. Autobahn Centre on Central behind the old Honest Weight Co-Op is great. That is where I take my german cars. Honest, do great work, at reasonable price. In the Saratoga Springs area, Union Coachworks works on my Audi. I regularly see Audis and VWs there of various vintages from off-warranty newer models and older. I've always wondered why Larry's Foreign Auto doesn't work on VWs...? I've had good luck with Hackel, They aren't too concerned with keeping up appearances so if a dirty desk or disorganized administrative practices turn you off you may be appalled, but they know VWs and won't jerk you around. He'll even say things like .. You know you could do this yourself for 15 bucks. Cap Tech on Jefferson St. has been amazing for us. We've brought our Jetta there for years, they can always get it in and out- and only do what is needed. They also solved an issue with our Ford 250 that another mechanic couldn't. And they are nice guys. Ankers in Schenectady. Thank you notes posted on the wall speaks volumes. Albany Foreign Auto Service on Catherine Street in Albany, They're very low key, honest, competent and so easy to work with. Seconding Lola's comment. Chuck knows his VWs inside and out, is straight and professional. On top of that he comes to you. Give him a shot. For a couple of years I have been going to Jean Laraway at LA Automotive in East Greenbush and she is fantastic.